In India, secular nation, Hinduism is a major religion. It dates back to times unknown and is full of a colossal historical and mythological background, with a number of cultural views, festivities, customs, and rituals. The concept of Hinduism is so vast that it’s not even possible for a mere man to know all about it. The Life of Hinduism focuses on narrowing that gap. Basically, The Life of Hinduism is a collection of various essays, written by different authors from different social backgrounds, and published on different platforms. As I stated previously, it is beyond the scope of one book to include all that is to be learned about Hinduism, considering the vast number of books and ancient text that belongs to Hinduism in the form of Vedas and Puranas. 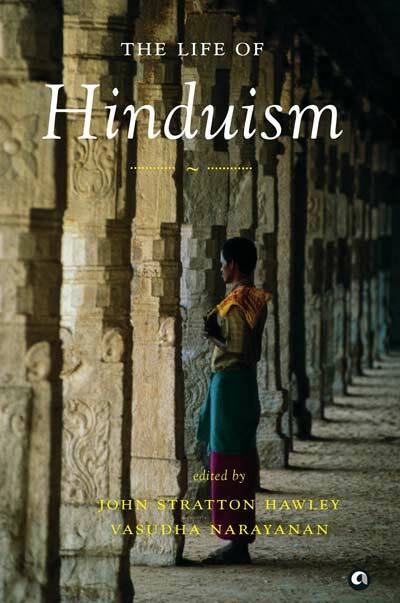 However, this book had done a good job at shedding light over some of the chief aspects of Hinduism, mostly cultural. Since, the book is a collection of essays assembled as different chapters not only does it cover the information about the subject at hand, but also views of the author as well as others. Major topics that the book are: worshipping in India, marriages in India, Festivals (Diwali/Divali and Holi), Ramayana, cultural gurus (Anandamayi Ma, Radhasoami), Caste system, diaspora, and identity. Personally, I feel that though the essays are great and well-researched, at several points they tend to get biased or provide insufficient information. And, as is the norm insufficient information often leads to misconceptions. For example, the part that discusses ‘Worship’ tells us about one form of worshipping and one image of God. However, being so vast with over 330 million small and major Gods and Deities in Hinduism, and different cults associated with them, I don’t see how a book can do justice to that. So, whoever reads this book must understand that the book covers one (or few) aspect of Hinduism and it’s neither absolute nor whole to form an image of Hinduism or a Hindu. However, still, I am impressed by the vast amount information and views included. Getting on to language and style, since the book is written by multiple authors it’s difficult to comment about each of them individually. But as a whole, the book approaches the subject in a comprehensible language that is easy to read and being formatted into various subsections makes it simple to approach. At some places, I actually enjoyed quite a lot while reading through the essays. The essays aren’t tediously lengthy and boring, but also contain stories and personal experiences to make them interesting. I would like to recommend the book to those who would like to learn more about Hinduism. Even those who are well-versed with the concepts of Hinduism may take something or other from the book eventually.